Environment, Health and Safety compliance as well as Risk Evaluation have gained top priority for most organizations across all industries. The huge costs of non-compliance with rules and regulations combined with legal liability and litigation outweigh the resource intensive processes required to stay compliant and ensure control. 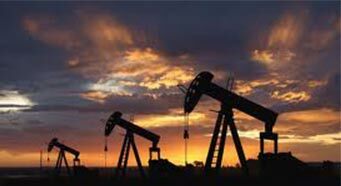 Environment, Health and Safety compliance is increasingly relevant for highly regulated industries such as oil & gas refining, oil exploration & production. Risk management failures within the supply chain or service provider network increase business liability. Increasingly risk and liability associated with a failure to meet compliance requirements, best industry practices, and bench mark risk management criteria cost industry millions of dollars related to accidents, litigation, lost production, and lost revenue. A multitude of EHS compliance issues can be generated at various levels in the vast global supply chain through which a product or service navigates to reach a range of functions such as production, processing, packaging and distribution. All organizations therefore must be diligent and thorough in managing environment, health and safety compliance issues as well as risk across their extended value chain. Control, efficiency, quality, and compliance have become the leading buzzwords for organizations across the globe. Market boundaries have dissolved, the supply chain has grown more complex and diverse, products have proliferated, outsourcing has become the norm, and global business operations have expanded: these factors increase the need for a comprehensive vendor audit system. 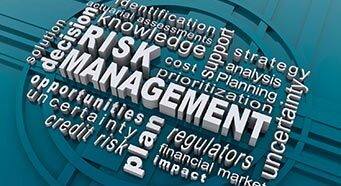 The notion of risk management in most organizations, however, is still limited to focusing on savings and additional revenue that they can realize, neglecting the overall business control. As a result, issues slip through the cracks, making it difficult to prevent gaps in compliance, uncover ineffective controls, and avoid duplication of effort and documentation. We bridge the gap between the compliance software programs and vendor performance. 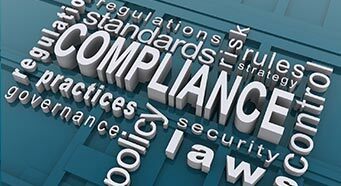 Ensuring an active and documented compliance effort on behalf of the organization; whether it is exploration, production, refining, or construction the assurance of compliance and control is critical present day. You own the contract, site, or business. Your liability for regulatory actions extends to the activities of your people and the people of those whom you contract with and have present at your location. Are management strategies in place to ensure compliance? Suppliers, sub-contractors and transport systems are part of your business. Ensuring these members are compliant with contract and regulatory requirements is key to your success. The impact of incidents to profit margin extends beyond the injury or immediate damage to equipment. As a business manager you understand the extensive impact to production, staff, training, recruitment, regulatory action, legal action, and sales that incidents and accidents present. What are you doing to control the risk associated with your extensive network?